My last post argued that despite Jack Wiley’s findings, the workplace is a very social environment, and we need to influence its sociology, if we want to maximise engagement and collaboration. And why? “because they believe their co-workers would do the same to them if the situation were reversed”. Yes, but if we see organisations as societies in their own right, and acknowledge that people will behave dysfunctionally if they believe they’ve been treated unfairly in just a relatively minor way (eg being passed over for promotion), then how do we think people are going to react when their CEO gets paid 40 times their average salary (£850k salary plus £1.2m bonus never mind his share options compared to an average salary of £50k)? Is it really that hard to predict? "It's all about fairness. We don't mind senior executives getting bonuses, but we want all staff to share in the success of the company." Well, yes. It is. I’ve used the terms envy and dysfunctional in this post. But I don’t mean to indicate that they’re that negative, that they’re things we should expect people to be able to avoid, or that they’re limited to a small group of people (let’s just call them ‘C’ players, shall we?). I don’t and they’re not. They’re very natural emotions, behaviours and reactions that affect us all. We’re human. We’re social animals operating in social environments. We’re not cogs in a wheel. Interestingly, I included BT as a case study organisation in my presentation on social media and HR. And think that in many other ways, it’s a very people-focused business – for example, its long-standing policy of avoiding compulsory redundancies (it’s also a former client). But with this sort of pay differential, can any organisation really be that socially functional, or that effective? Picture credit: nicked from HR Magazine’s article, sorry. I did want to include a picture of someone ‘slapping their forehead’ but they don’t seem to have any of these in wikimedia commons where I try to take my pictures from – and I didn’t think its alternative suggestion of ‘shopping in moorehead’ was that relevant! In my end-of-day keynote at Kenexa’s Euro Summit, I talked about how the social aspects of an organisation play an important role in influencing the engagement levels of employees. David Rock’s view that we experience the workplace in primarily social terms. I used these arguments to suggest that much of what engages us at work comes from our relationships with the people we work alongside. So I was paying particular interest to Jack Wiley’s keynote at the start of the day in which Jack described the findings of Kenexa’s 2010 WorkTrends survey, wondering to what extent this social type of engagement would appear in their research. The answer is it didn’t. Hardly at all – just in terms of the #10 reason that people leave (feeling part of a team). I carried on anyway – and I don’t think anyone noticed the divergence in our views. But what’s behind the discrepancy? Who’s right, who’s wrong. I’d love to learn your views. What an interesting few days it’s been. I’m immensely impressed with our new Cabinet as it has emerged so far (I’m particularly looking forward to Vince Cable taking on the banks)*. And the way the leaders and others seem to be working together. And I’m also impressed with the new high-level policies as well. I know Labour representatives are regretting the lost chance of a new progressive alliance, but in my view, the new government’s policies are in fact quite progressive. The Conservative party’s policies were already a significant departure from the past and I think Cameron’s Big Society is one of the most interesting and innovative ideas in politics at the moment. Combined with the Liberal agenda, and the increase in the income tax threshold etc, make this a very different style of Conservative government. To an extent, this shouldn’t be surprising. Life has moved on. Thatched confronted a sluggish and dysfunctional economy and society, and I think most of her responses to that situation were appropriate. By 1997, things had changed, and the need for a more united society had become a more pressing requirement than making further improvements in the UK’s competitiveness. Most commentary on the coalition points to the UK electorate’s unwillingness, post the MP expenses scandals etc, to give any one party a majority. I think it’s more than this. People increasingly understand the need to focus more on collaboration and less on competition, and we want to see this in our politics as well. * Whoops. I’ve just heard about Erick Pickles! Five trends: globalisation, technology, demographics, low carbon, society (reduction in trust, increase in self-employment). The dark side of the default future: isolation, fragmentation, exclusion, addiction. The bright side of a crafted future: transparency, choice, co-creation (eg 2000 scientists at CERN collaboration together, meaning that the first 15 pages of their articles are taken up with the names of the authors). Most interesting for me was Nokia’s prediction that by 2015 5 billion people will be connected across the blog, and Lynda’s question, what happens when you join up 5 billion people? Crowds can be very innovative, but for this to be the case, there needs to be diversity – you need to be connected to people very different to yourself. Preparing for five generations at work. Well, over the last couple of weeks, I’ve been reading Julian’s latest work, Reinventing Management. I totally support the need for employers to clarify how their organisations are going to work and support anything which encourages this, so I generally feel very positive about the book. I particularly like the way Julian shows that web 2.0 can be combined with real-world activities – something that I’ve been arguing for within this blog. 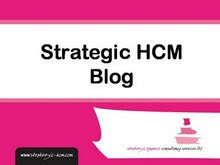 I also like the focus on developing strategy (or ‘Management Model’) from looking at what’s working in the organisation ie through a process of understanding, evaluating, envisioning and experimenting (which Vineet Nayar at HCL Technologies labels an inside-out approach – see my arguments with Dave Ulrich & co on this). And I like Julian’s thinking on emergence: “If you provide very few rules and very little structure, most people will figure out for themselves the best thing to do, and the best way of coordinating their activities with those of others” – I can see lots of opportunities for this, for example in performance management. 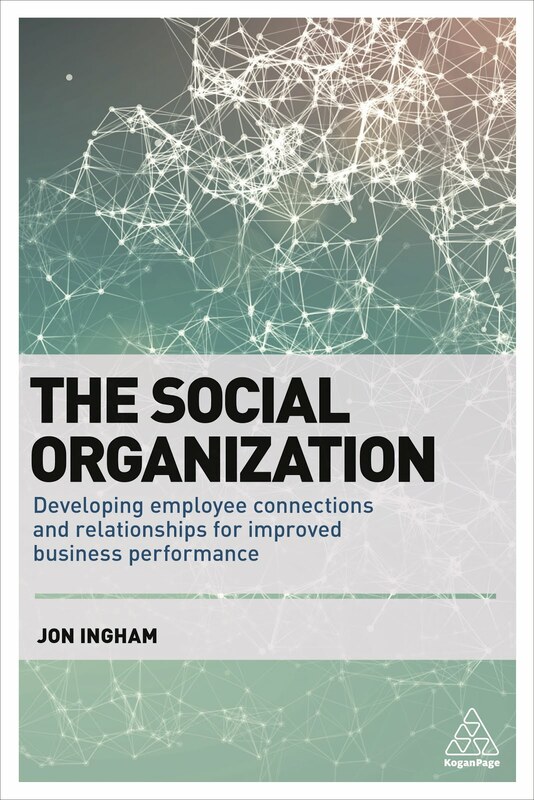 Having said this, I’m also pleased to see that he suggests that employers can still control social activities within the organisation too – not everything needs to be down to emergence: “Emergent behaviour is necessary for experimenting with new opportunities but it needs to be coupled with processes for harnessing and focussing effort” (I’ve got a blog post on this coming out shortly). However, I do also have a number of quite major reservations about the book. I don’t agree that Julian’s ‘Management Model’ is a useful place to start a management reinvention. The Model is simply a set of aligned activities – you still need something to align these activities upon. You’re much better off starting with a particular outcome, whether this is a set of values, a BHAG etc (I suggest ‘mojo’). And I’m also not completely convinced about some of the dimensions in the Model. Hierarchy and Collective Wisdom in particularly, don’t seem to me to opposite ends of a single scale. Julian claims “Hierarchy assumes that the boss always knows best” but it doesn’t have to – it’s simply a way of organising responsibilities. And the opposite of hierarchy is flatness. Similarly, bureaucracy and emergence - the opposite of emergence is control. I also don’t agree with the way Julian distinguishes management from leadership. The required distinction isn’t between management and leadership, it’s between internal and external, or the organisation and the business. To me, Julian’s management model isn’t a model of management vs leadership, it’s a model of the organisation vs the business. I’ll explain more in my next post.